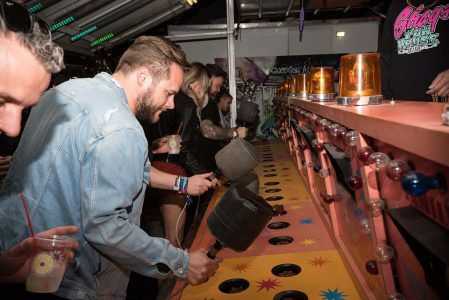 Part festival, part carnival, Shaq’s Fun House is a one of a kind, larger than life event that launched on March 23rd in Miami during Miami Music Week. Tapped by Shaq himself, the team comprised of festival gurus Adam Richman and Joe Silberzweig along with Crystal Plaza Production’s very own Hunter Janoff, took to Shaq’s request to create a party of his very own, featuring himself as his DJ pseudonym – DJ Diesel – along with enough entertainment to create a traveling event series that can be taken around the globe. 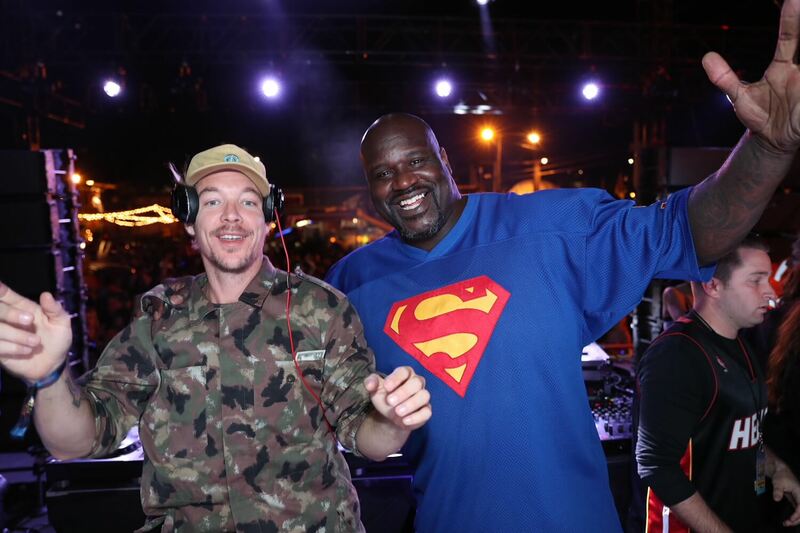 Some of the best DJs in the world – Diplo, Steve Aoki, Carnage, Alan Walker, A-Trak, Codeko, and more – joined Shaq on stage, one set playing right after the other. The other stage featured a “Fantasy Cabaret Show” of carnival performers. 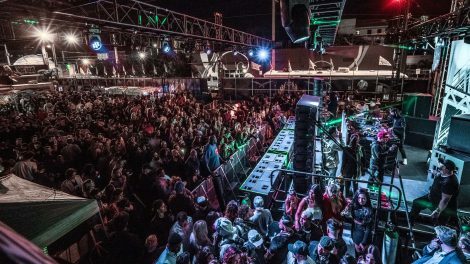 Stilt walkers, fire breathers, fair games, and costumed performers doing contortionist routines and interacting with guests brought the “fun house” theme to life. Art installations and premium décor around the venue shaped the theme further. Shake Shack – who, for the night, became Shake “Shaq” – provided free catering all night while circus performers passed out Krispy Kreme donuts and specialty cocktails provided by some of the other partners including Tito’s Vodka, Redbull, and Tanqueray. Lyft, Fiji Water, and Jetlux were among some of the other partners who helped create this incredible evening. 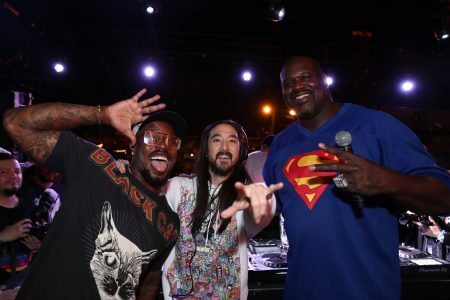 This 2,000-attendee event was extremely exclusive and the guest list was invite-only by Shaquille himself. The celebrity guest list included Denver Broncos Von Miller, fashion designer Alexander Wang, and Shark Tank’s Daymond John. 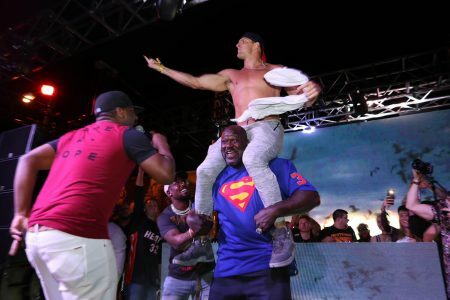 The moment of the night happened when New England Patriot Rob Gronkowski declared a dance off with Shaq and ended up on his shoulders in front of the entire party. The moment went viral and was viewed on TMZ, ESPN, People Magazine, and more.